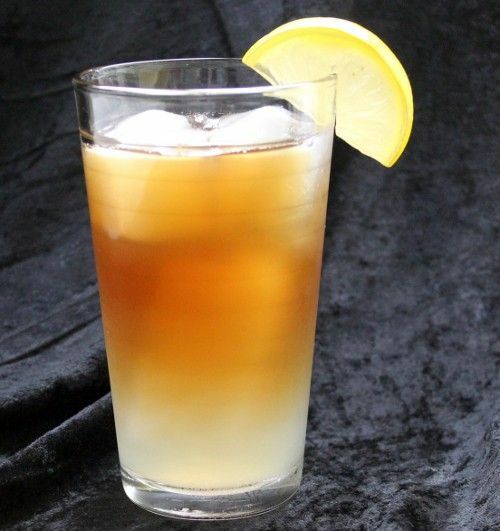 The John Daly cocktail is an Arnold Palmer with a citrus kick in the form of Absolut Citron and triple sec. It actually tastes a lot like the Palmer, except for that hint of orange. This is, not surprisingly, a great drink to have when you’re golfing or just out of doors. But of course it’s great indoors and pretty much anytime, too. Fill a collins glass with ice. Pour in the two liquors. Then fill the glass the rest of the way half with lemonade and half with iced tea. Garnish with a lemon wedge.